In the Holiday Catalogue on page 12, there is a little pack of Snow Festival Designer Printed Tags (#128152). There are five different designs and five of each design. On one side there is a Christmas image, and the other side is just designer paper that you can use at any time of the year. 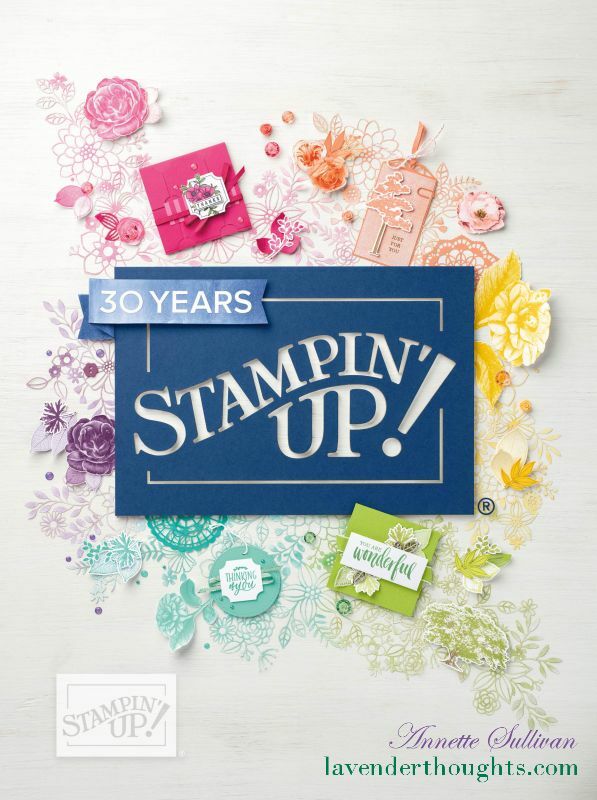 This amazing set of 25 tags is only $6.95. I will show you my Christmas version of each of these cards over the next week [need to wait for some of the recipients to receive their card in the snail mail first]. After Christmas, I will show you how to use them for everyday cards. The first one uses a Naturals White card base. I embossed a piece of Cherry Cobbler in the Fancy Fan TIEF for the front of the card. 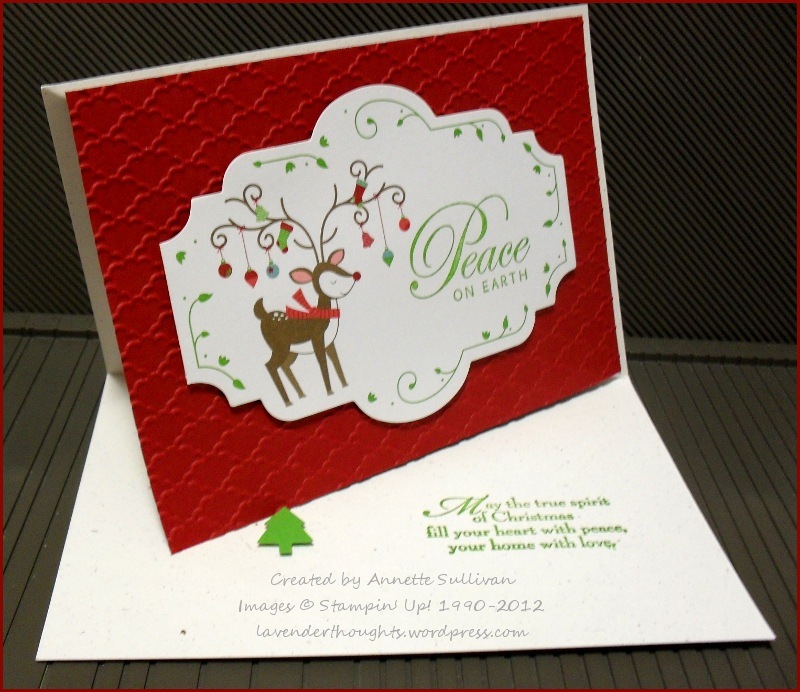 A sentiment from Greetings of the Season was stamped in Gumball Green and the tag added to the embossed piece with Dimensionals. The card is a twisted easel and is held open with a tree punched from Gumball Green card stock with the Merry Minis Punch Pack. The sentiment is from Snow Swirled. Isn’t that reindeer just too cute?